As believers this is the glorious reality that we need to own and hold on to at all times. It is a reality that fills us with amazement and with assurance. 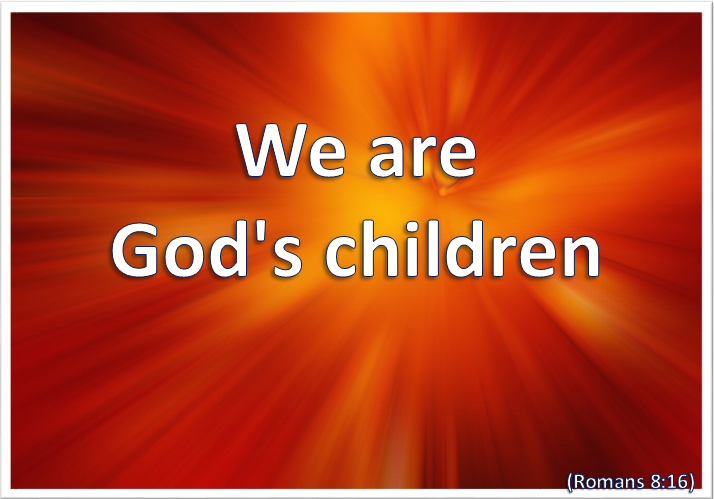 The Lord God Almighty has put His Spirit and His Name into us in an irrevocable and eternal way. Nothing can now separate us. He will not disown us and there is no possibility of a divorce of any kind. He has recognised and embraced us now and forever. Lord Jesus You said that the truth will set us free. Help me to receive and know and live in this glorious truth always. Amen. Categories: Christianity, Daily Life, God | Tags: Daily Bread, Faith, Grace, Jesus, Life, Romans, Scripture | Permalink. We have looked at Jesus Christ as the pinnacle of God’s revelation, as the Lord of Creation and as the Son of the Father. Now we move on to see this Divine Son as the Saviour of sinners as well. 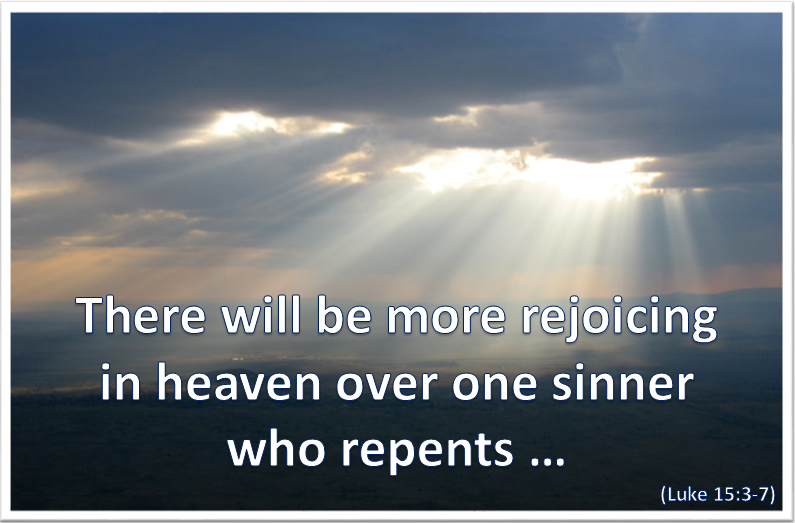 Jesus Christ came into the world to save sinners from the wrath of God and from everlasting separation. Jesus was not an angel who had volunteered or one of the heavenly host forced to sacrifice himself, nor was He an arbitrary human selected by God because of some nearly perfect characteristic. 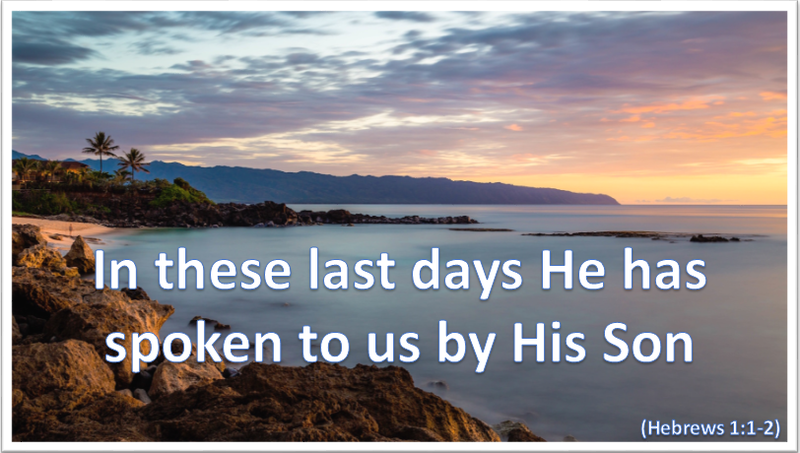 He was and is God the Son. And now, having achieved the purpose for which He was sent, He sits in glory, majesty and power at the right hand of God the Father Almighty. And in this position He has not abandoned us but continues to pray for us. 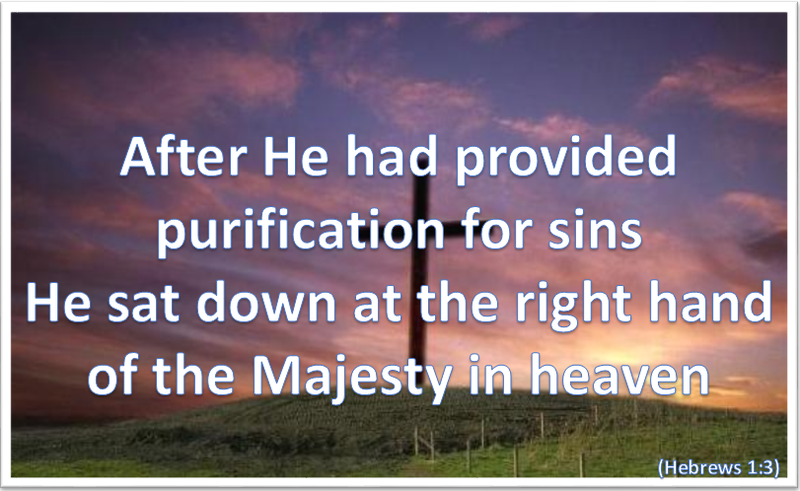 Jesus Christ is totally committed to us and to our salvation. We see it in His coming amongst us in human likeness, in his death upon the cross on our behalf, in His ongoing dedication of Himself to prayer and in His presence within us through the Holy Spirit. 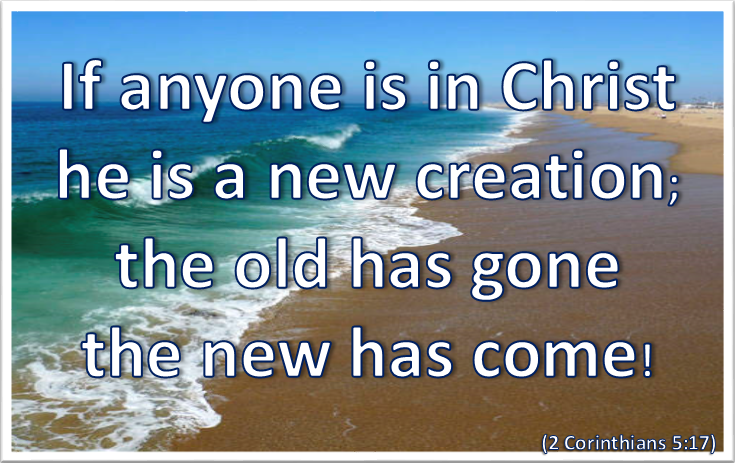 This same Lord Jesus is coming again. Lord Jesus I owe You both my present and my future life. Thank You for Your total commitment to me through yesterday, today and tomorrow, and for being both my beginning and my destination. Amen. Categories: Christianity, Daily Life, God | Tags: Daily Bread, Faith, Grace, Hebrews, Jesus, Life, Love, Scripture | Permalink. Next Sunday the Christian Church begins the season of Advent. It marks the start of the Church’s year as it prepares to celebrate the birth amongst us of Jesus Christ the Son of God. We will start our journey today, and begin this week to look at Jesus Christ as the Divine Son. This Jesus Christ, about to be born into the world, is the pinnacle of God’s revelation of Himself and of His purpose. Throughout history as recorded in the Old Testament God has revealed Himself and His will through His chosen and appointed prophets. However this revelation was both partial and progressive as He began to unfold His will before His people and respond to their attitude towards Him. The Majesty of Genesis 1, the Intimacy of Genesis 2 and the Forgiveness hinted at in Genesis 3 are all found in Jesus Christ. He controls the powers of nature and exercises His will with a word, offers life and purpose to those around Him, and extends forgiveness to the fallen sinners. To understand more of the Father we study and follow His Son Jesus. Lord open my eyes to the truth and wonder found in the person and revelation of the Lord Jesus Christ – and help me to receive Him more fully into my own life. Amen. The depth and extent of God’s love stands in striking contrast to the legalistic attitudes of the world. This is borne out in the parable where Jesus shows that He will track down the lost – seeking to find them and to bring them safely back to their home and relationship with God. And, in each case, He tells us there will be great ‘rejoicing in heaven.’ This gives us another indication of just how special we are to God! This same Jesus is with us always through the Holy Spirit and, if we do go astray, will come after us to find and recover us. No matter how close we are to the Lord there may yet be areas of our lives that are still ‘lost’ to Him. Rooms within us where He is knocking on the door, asking to be allowed in so that He may bring light, forgiveness, healing and restoration. His love for us is such that He cannot bear to stand by and watch us hobble along spiritually. And what joy it brings to Him when He is permitted to enter and know the blessing that it brings to us and, through us, to others. 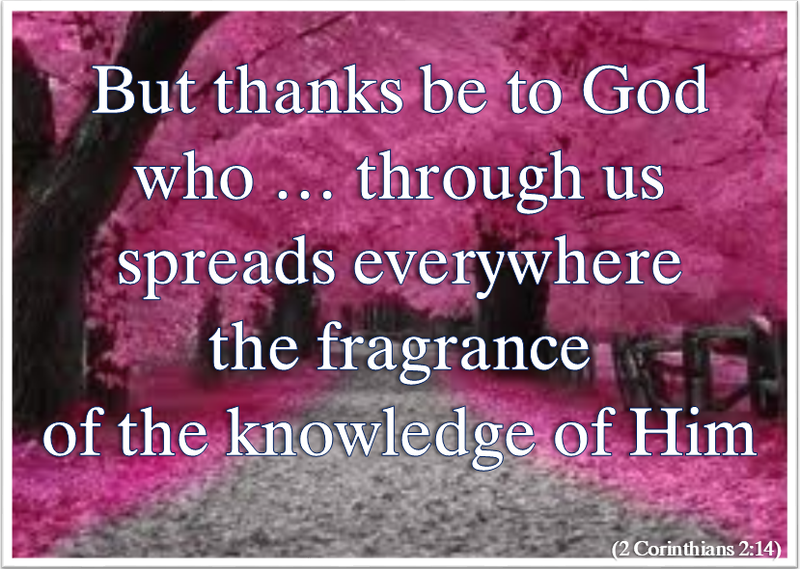 Ask God to show you where He is knocking – and deliberately invite Him in to be Saviour and Lord in that area as well. Lord God thank You so much that You tracked me down and saved me. Please help me to allow You more fully into my life so that I may be more completely a part of Yours. Amen. Categories: Christianity, Daily Life, God | Tags: Daily Bread, Faith, Grace, Jesus, Life, Love, Luke, Scripture | Permalink. For so many of them everything about their lives speaks of failure and inadequacy. And whilst handouts may alleviate an immediate need it may make them feel even worse about themselves if done dismissively – to get rid of them! It doesn’t do us any good either! On the other hand help, whether short-term or long-term, offered in the right spirit can carry with it the message that they are valuable. Then both the body and the spirit are blessed. Jesus reminded us that even those who occupy the very lowest rungs on the social ladder are precious in His sight – so precious that He identified Himself with them completely. Not all of the poor are beggars. There are many who are desperately trying to make ends meet, and have little or no room in their lives for anything except worry and fear. If we become aware of them then we could make a difference in their lives – directly or anonymously. Jesus showed us that He was not just a ‘man for others.’ As Greg Boyle makes clear He was primarily a ‘man with others.’ He did not merely act as their champion, He became one of them – He became the outcast, the homeless, the prisoner and the crucified one. In fact in real terms He became one with me – for without Him I too was an outcast from God, homeless from heaven, a prisoner to sin and with no hope in my life. 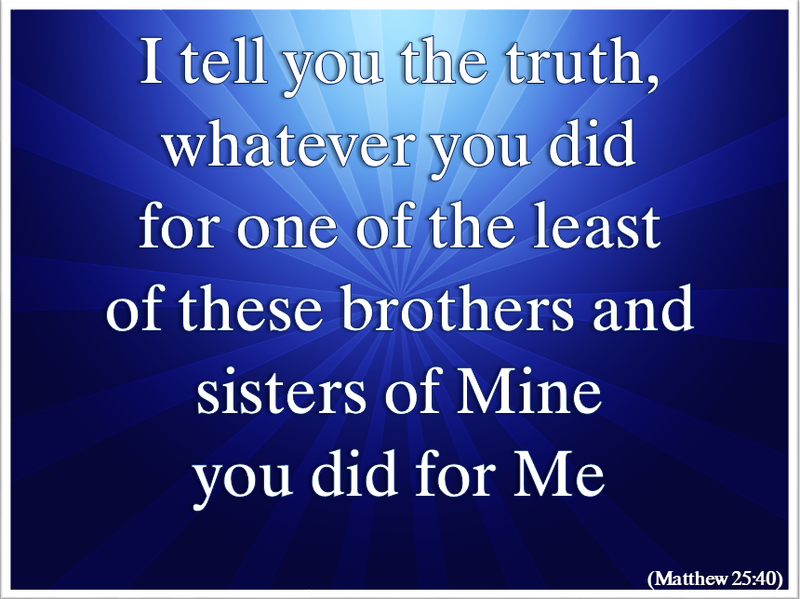 Lord Jesus, lead me into the love that sees, that cares and that acts –as You have done for me. Amen. Categories: Christianity, Daily Life, God | Tags: Daily Bread, Faith, Grace, Jesus, Life, Love, Matthew, Scripture | Permalink.